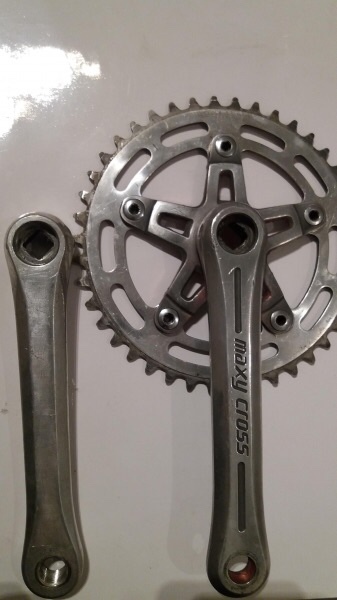 I got this cheap set of Sugino cranks off Spen this week. 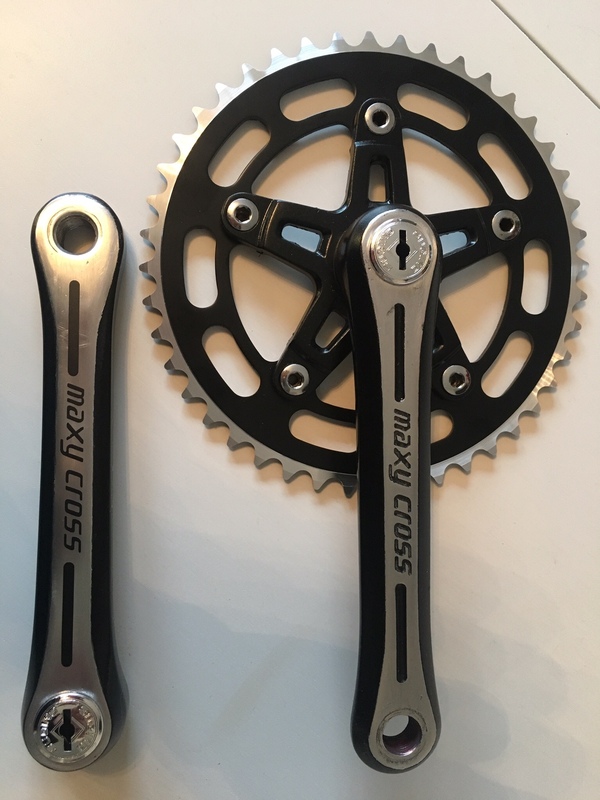 The drive side is a Maxy Cross and the other side is just plain but a similar shape. They’re in decent shape but I thought I’d give them a small resto. I started by removing the remaining anno and gave them a good clean with wet and dry sandpaper and scotchbrite. I then masked up the stamped arm and painted tho logo and gave it a going over with the wet and dry to remove the excess paint off the arm. Both were then masked up to paint the rest of them. Wet and dry again to get the lines as neat as possible. 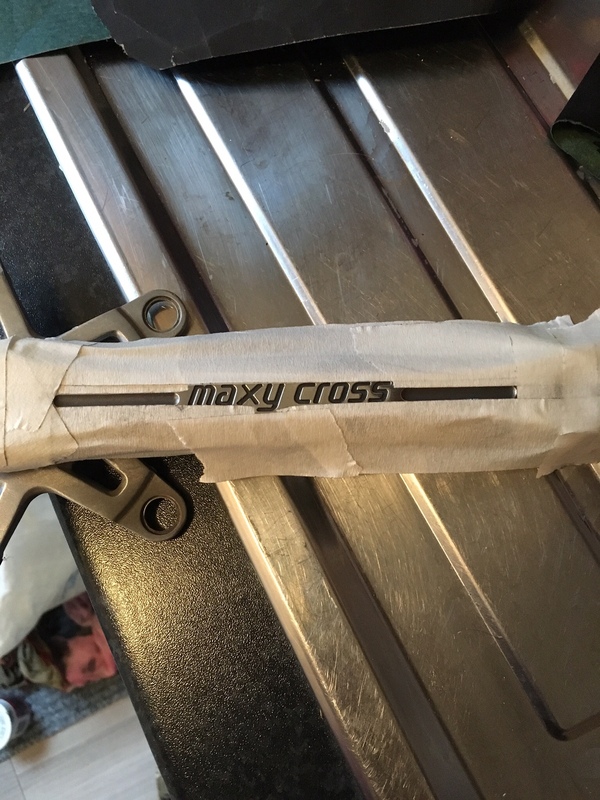 Del made me a decal for the unstamped arm, this was applied and repop dust caps and a cheap machine toothed chainring off eBay and this is the end result. They still have a few battle scars and maybe with a bit more time spent on the masking up could look a bit better but I’m pleased how they’ve turned out. Amazing job Chris, love seeing a good resto. Very impressive fella looks the business! Ha ha saw you sniffing around them! 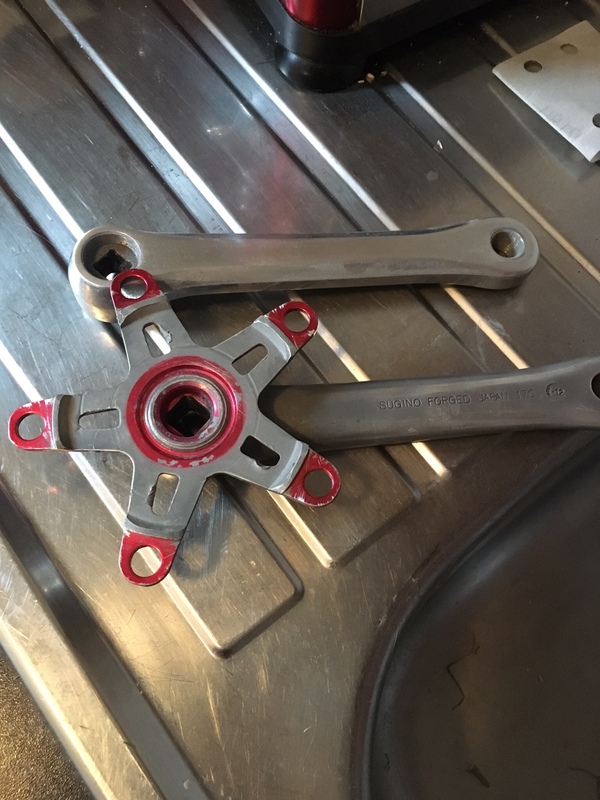 A proper rad bargain and I love tinkering around with stuff like this. 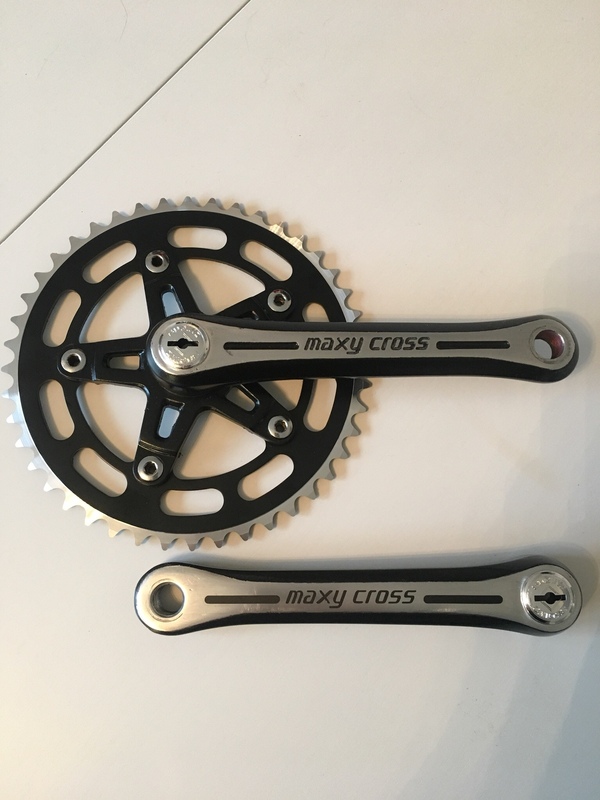 Cheers Spen I’m really pleased with them. Speaking of the bargains bin have you got anything left? 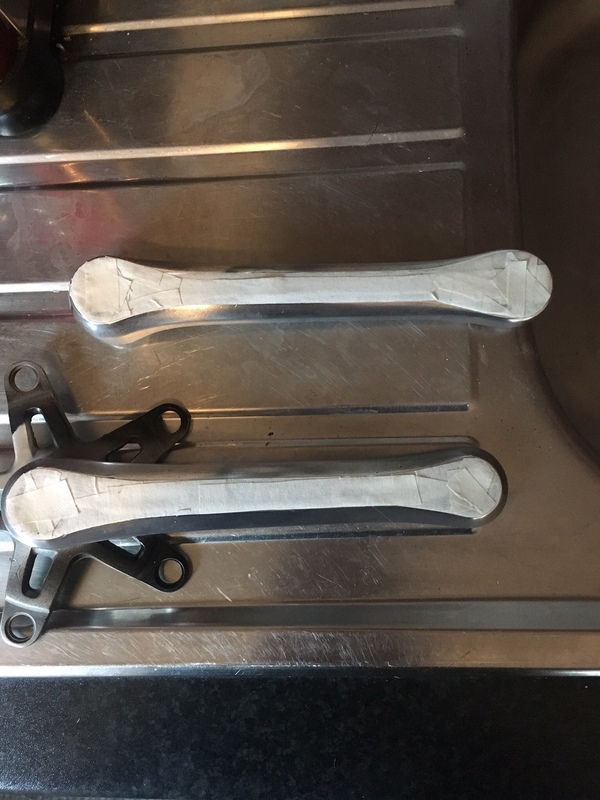 I’m looking for a cheapo seat clamp something like a Suntour copy or similar and an SR stem or similar they’re to go on my Pug build so don’t want anything fancy. 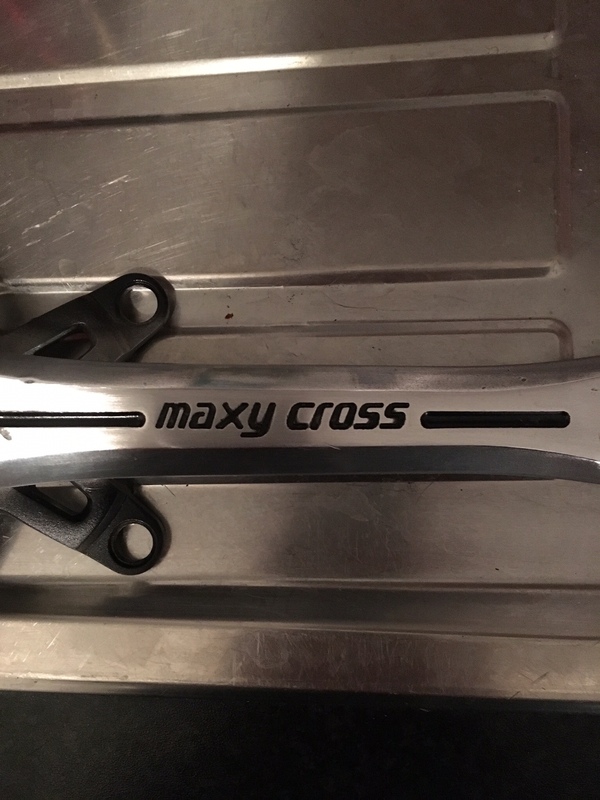 I just bagged myself another silverstreak frame and forks, BUT NO CRANKS. 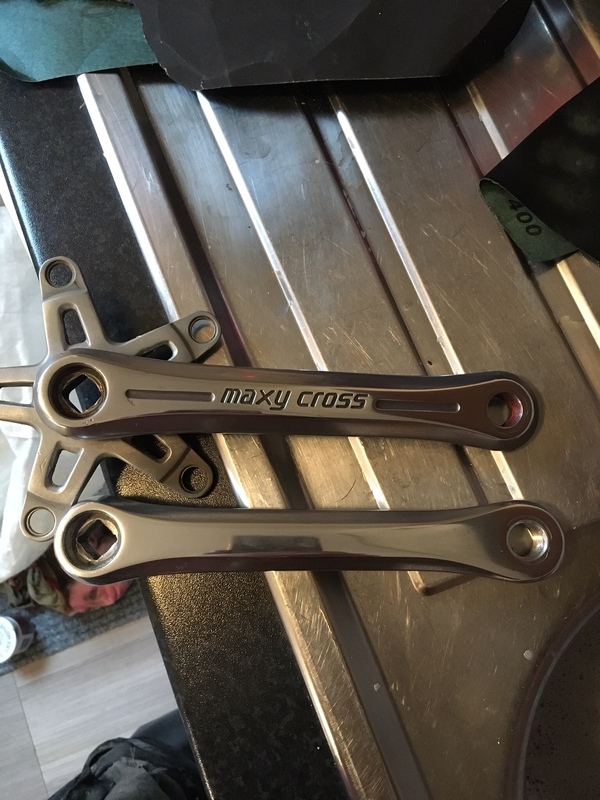 Great job on the cranks, they look the shiz! Nice work Chris... they look great.